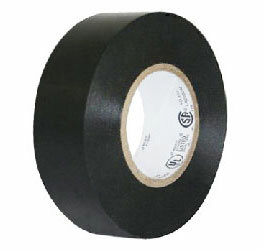 Electrical Tape superior moisture, abrasion, and corrosion resistance. Works extremely well in cold and damp weather. 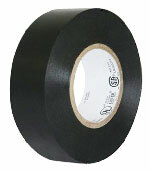 Our Brand Vinyl Electrical Tape - Black, superior moisture, abrasion, and corrosion resistance. Works extremely well in cold and damp weather. All-weather insulating tapes with elastic backing and aggressive pressure-sensitive rubber adhesive.